Antibacterial Adult Toy Cleaner Get Fresh Spray. Hygienically cleans and rejuvenates adult toys. 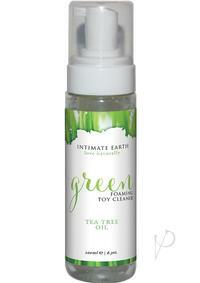 Contains no harsh soaps or artificial colors which could harm adult toys or irritate intimate areas. Proven effective in killing 99% of 3 major microorganisms. Approved for use on all types of adult toys.Ingredients: Water, Cocamidopropyl PG-Dimonium Chloride Phosphate, Benzyl Alcohol, Disodium EDTA, Fragrance. Directions: mist on toys before use to omit any offensive new toy smell, clean toys before and after every use, mist on toys, rinse if desired and wipe dry.